Are you over the winter blues? Then escape and come to our Pop-Up Spring Shopping Event! Check off those last minute items like accessories, gift items, wedding decor or chat with other wedding vendors! 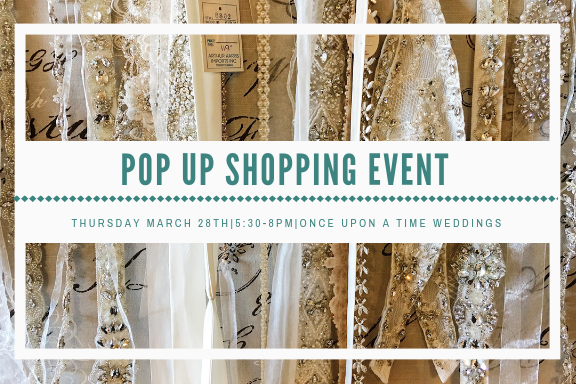 Interested in being a vendor at the Pop-Up Shopping Event? Click below.